Jogging in a Jug has conducted no scientific research regarding the benefits of Apple Cider, Vinegar, or Jogging in a Jug. There is no scientific evidence that Jogging in a Jug provides any health benefits. The distributors of Jogging in a Jug make no health related claims. The comments written above are taken verbatim from unsolicited letters from our customers. The comments or claims in the letters from our customers are solely the opinion of the individual customer who wrote the letter and have not been verified scientifically. The distributors of Jogging in a Jug are in no way verifying the validity of any claim or comment made by any customer in any letter. Apple Cider Vinegar, that wonderful old-timers home remedy, cures more ailments than any other folk remedy — we’re convinced! From the extensive feedback we’ve received over the past 8 years, the reported cures from drinking Apple Cider Vinegar are numerous. They include cures for allergies (including pet, food and environmental), sinus infections, acne, high cholesterol, flu, chronic fatigue, candida, acid reflux, sore throats, contact dermatitis, arthritis, and gout. Apple Cider Vinegar also breaks down fat and is widely used to lose weight. It has also been reported that a daily dose of apple cider vinegar in water has high blood pressure under control in two weeks! Apple Cider Vinegar is also wonderful for pets, including dogs, cats, and horses. It helps them with arthritic conditions, controls fleas & barn flies, and gives a beautiful shine to their coats! If you can get over the taste of apple cider vinegar, you will find it one of the most important natural remedies in healing the body. As a wonderful side effect of drinking apple cider vinegar every day, we’ve discovered that it brings a healthy, rosy glow to one’s complexion! This is great news if you suffer from a pale countenance. For a partial Spanish translation of the apple cider vinegar page, please click here. Our readers offer information and opinions on Earth Clinic, not as a substitute for professional medical prevention, diagnosis, or treatment. Please consult with your physician, pharmacist, or health care provider before taking any home remedies or supplements or following any treatment suggested by anyone on this site. Only your health care provider, personal physician, or pharmacist can provide you with advice on what is safe and effective for your unique needs or diagnose your particular medical history. I am 57 and have had arthritis for a good many years. It is in my shoulders, hips, hands and feet. The doctors have had me on several medications that did not really help. I could not turn over in bed without the help of my wife. I heard about Jogging in a Jug and thought I would give it a try. I took 2 oz. a day for eight weeks and my arthritis has not gone but is 90% better. I plan to take my 2 oz. of Jogging in a Jug a day for the rest of my life. I feel very good. Thank you for your product! MUSCLE SHOALS – With a new colorful label and concerns raised by the U.S. Food and Drug Administration 15 years ago finally resolved, makers of Shoals-based Jogging in a Jug are predicting increased sales of the product billed as a dietary supplement. “The future is going to be bright,” said Danny B. McWilliams Jr., chief executive officer of Third Option Laboratories, which distributes the fruit juice and cider-vinegar mixture throughout the United States. The new label touts the product as Granddaddy Jack’s Jogging in a Jug, in reference to McWilliams’ grandfather Jack McWilliams, who began marketing the drink in 1990. The label identifies the drink as a nutritional dietary supplement. Jogging in a Jug is sold in grocery stores and through mail order. McWilliams said Third Option Laboratories, which is on Avalon Avenue in Muscle Shoals, remains a family-run business with all its officers being family members. While expressing his excitement about the new label, McWilliams admits he feared for the future of Jogging in the Jug in 1995 when it came under fire from the Food and Drug Administration and Federal Trade Commission over the family’s claims the beverage provided the same health benefits as a jogging regimen, cleansed internal organs and cured or prevented some diseases. McWilliams said the claims were based on testimonials from customers. “It was never our intention to mislead anyone,” he said. As part of consent decrees with the federal agencies, Third Option Laboratories agreed to stop advertising the product as having health benefits and to pay $480,000 to the trade commission. Jack McWilliams said Jogging in a Jug sales plummeted after federal regulators announced the consent decrees, but have steadily rebounded in recent years. He said the company has sold more than 35 million 64-ounce bottles of Jogging in a Jug since 1990. Danny McWilliams Jr.’s concerns about the company’s future have ended as has the consent decree with Food and Drug Administration. He said two years of discussions with federal officials led to the consent decree being terminated earlier this year. He said agency has deemed the company’s labels as being in full compliance with its rules. A similar decree with the Federal Trade Commission remains in effect, but is scheduled to expire within five years. Danny McWilliams Jr. attributes Jogging in a Jug survival to a loyal base of consumers who use the product to supplement their diet. Dennis Sherer can be reached at 256-740-5746 or dennis.sherer@TimesDaily.com. My husband and I are firm believers in your drink. We both had high cholesterol but it has been lowered. My husband was having a lot of arthritic pain in his knee but that is gradually leaving. We are on our last bottle. Please ship another case. I have been using Jogging in a Jug for 3 months. Since using this product my blood pressure is down and my arthritis pain is much better. I feel so much much better. Natural Apple Cider Vinegar is made by crushing fresh, organically grown apples and allowing them to mature in wooden barrels. This boosts the natural fermentation qualities of the crushed apples, which differs from the refined and distilled vinegars found in supermarkets. When the vinegar is mature, it contains a dark, cloudy, web-like bacterial foam called mother, which becomes visible when the rich brownish liquid is held to the light. The mother can be used to add to other vinegar to hasten maturity for making more Apple Cider Vinegar. Natural vinegars that contain the mother have enzymes and minerals that other vinegars in grocery stores may not have due to over-processing, over-heating, and filtration. For this reason, it is recommended that you purchase onlyNatural Apple Cider Vinegar, with an ideal acidity (pH) level of 5 to 7. Apple Cider Vinegar is an effective body odor remedy, since it can help adjust the skin’s pH level which helps to eliminate odor-causing bacteria. For armpit odor, simply wipe them once each morning with undiluted apple cider vinegar (using a cotton ball). For foot odor, fill a pan with warm water and add 1/3 cup of ACV, then let your feet soak in this mixture for 15 minutes once per week. Apple Cider Vinegar is a natural cure for acne. Please refer to our Acne Home Remedy page for more information on how to treat acne with Apple Cider Vinegar. Apple Cider Vinegar contains sulfur that fights the effects of aging, which makes it suitable for treating age spots. Visit our Home Remedy for Age Spots page to learn about an effective Apple Cider Vinegar and onion juice treatment for this condition. Many women have found that Apple Cider Vinegar can help reduce the appearance of cellulite. Our Cellulite Home Remedies page contains details on how ACV can be used to treat this problem. Apple Cider Vinegar has been found to be an effective treatment for yeast infections. See our Yeast Infection Home Remedies page for more details on how soaking in a bath mixed with a few cups of ACV can be used to treat this infection. Apple Cider Vinegar is frequently used as a natural cure for constipation. Please visit our Constipation Home Remedy page for more information on how drinking Apple Cider Vinegar can help cure this common digestive problem. There are various causes for diarrhea, and although it should not be left untreated, it is often a natural way for the body to rid itself of harmful compounds and ingested materials. Apple Cider Vinegar is a fantastic natural remedy for diarrhea since the high pectin concentration acts as a protective coating which soothes the irritated lining of the colon. A suggestion is to add 2 tablespoons of Apple Cider Vinegar to a large glass of water, and drink this 3 times daily while the symptoms persist. Apple Cider Vinegar may help to control high blood sugar levels, which is why it is often used as a natural treatment for Diabetes. Visit our Diabetes Remediespage to learn more about how ACV can be used to treat this condition. There are no major known side effects of Apple Cider Vinegar when used in moderation. However, drinking vinegars, acids or even lemon juices on a regular basis can lead to a deterioration of dental enamel. This can give your teeth a yellowish look and make them more sensitive to heat and cold. To prevent this, the vinegar should always be diluted with water or a pinch of baking soda should be added in order to reduce the acidity level. Apple Cider Vinegar can be found in almost any natural health or nutrition store, or from a variety of online retailers such as Amazon.com (see links below). Look for ACV with a pH level of 5 to 7. Apple Cider Vinegar can also be found in capsule form which help eliminate the strong sour taste associated with the liquid vinegar. Over the centuries, vinegar has been used for countless purposes: making pickles, killing weeds, cleaning coffee makers, polishing armor, and dressing salads. It’s also an ancient folk remedy, touted to relieve just about any ailment you can think of. In recent years, apple cider vinegar has been singled out as an especially helpful health tonic. So it’s now sold in both the condiment and the health supplement aisles of your grocery store. While many of the folk medicine uses of vinegar are unproven (or were disproved), a few do have a medical research backing them up. Some small studies have hinted that apple cider vinegar could help with several conditions, such as diabetes and obesity. Apple cider vinegar is a type of vinegar made by the fermentation of apple cider. During this process, sugar in the apple cider is broken down by bacteria and yeast into alcohol and then into vinegar. Apple cider vinegar contains acetic acid (like other types of vinegar) and some lactic, citric and malic acids. Unlike white vinegar, apple cider vinegar is a light yellow-brown color and is often sold unfiltered and unpasteurized with a dark, cloudy sediment called mother of vinegar (consisting mainly of acetic acid bacteria) settled at the bottom of the bottle. Unfiltered and unpasteurized apple cider vinegar is sold in health food stores, online and in some grocery stores. Although other types of vinegar — such as white vinegar, balsamic vinegar, red wine vinegar and rice wine vinegar — are used mainly in cooking, apple cider vinegar is used primarily for health purposes. Hippocrates was said to have used it as a health tonic and American soldiers are said to have used it to combat indigestion, pneumonia and scurvy. But it wasn’t until the book Folk Medicine: A Vermont Doctor’s Guide to Good Health, written by D.C. Jarvis, M.D., was published in 1958 that the medicinal use of apple cider vinegar took off. Jarvis recommended apple cider vinegar as a cure-all, explaining that it was unusually rich in potassium (compared to other food sources, it is not). He said that mixing the apple cider vinegar with honey, a mixture he called “honegar,” enhanced the healing power of the vinegar. Jarvis also wrote that apple cider vinegar could destroy harmful bacteria in the digestive tract and recommended as a digestive tonic to be consumed with meals. Although the year it was released it didn’t attract much attention, the following year, Folk Medicine became a bestseller and stayed on the bestseller list for months. According to Time magazine, it sold more than 245,000 copies in a single week and received many testimonials by people who felt they benefited from the apple cider vinegar and honey mixture. In the 1970s, apple cider vinegar became popular once again, this time by proponents who had read Jarvis’ book and suggested that apple cider vinegar along with kelp, vitamin B6 and lecithin could help people lose weight by speeding metabolism and burning fat at a faster rate. Perhaps the most intriguing aspect of apple cider vinegar’s possible health benefits is its effect on blood glucose levels. Several small studies suggest that vinegar (both apple cider vinegar and other types) may help to lower glucose levels.For example, a preliminary study by researchers at Arizona State University, published in the journal Diabetes Care, examined people with type 2 diabetes. Study participants took either two tablespoons of apple cider vinegar or water with one ounce of cheese at bedtime for two days. The researchers found taking two tablespoons of apple cider vinegar at bedtime had a favorable impact on blood glucose levels the next morning. Prior to the study, the average fasting blood glucose level was 137 mg/dL. It decreased by 2% with the cheese and by 4% with the vinegar, a statistically significant difference. In people with a fasting glucose level above 130 mg/dL prior to the study, the vinegar reduced glucose levels by as much as 6%. The study was very small and the duration was short, so more research is needed. Other studies have found that vinegar can lower the post-meal rise in glucose. The acetic acid in vinegar is thought to slow starch digestion and reduce the glycemic index of starchy foods. For example, a small study compared the effect of vinegar with white bread on blood glucose and insulin levels. Researchers found that those who took vinegar with white bread had lower post-meal blood glucose and insulin levels and it also appeared to increase satiety ratings. Apple cider vinegar has become popular as a “fat-burner” and as a natural appetite suppressant. In fact, there’s even an apple cider vinegar diet, which involves taking one to three teaspoons of apple cider vinegar or apple cider vinegar pills before each meal.The earliest proponent of apple cider vinegar for weight loss was Jarvis, who wrote that people who consumed apple cider vinegar regularly would burn fat instead of store it. Although some say that the pectin, enzymes, vitamins, or potassium may help with weight loss, there is no reliable research showing that either apple cider vinegar or the combination of apple cider vinegar, kelp, vitamin B6 and lecithin can influence metabolic rate or the help us “burn fat” faster than we normally would. One small study in 2005 found that those who ate a piece of bread with a small amount of white vinegar felt more full and satisfied than those who ate the bread alone. It’s possible that vinegar may affect satiety by lowering the glycemic index of carbohydrates eaten at a meal. More research is needed. Some alternative practitioners suggest apple cider vinegar as part of a diet to restore alkaline acid balance. The theory behind the alkaline diet is our blood is slightly alkaline, with a normal pH level of between 7.35 and 7.45. Our diet should reflect this pH level and be slightly alkaline. All foods we eat, after being digested and metabolized, release either an acid or alkaline base (bicarbonate) into blood. The foods that people tend to overeat –- grains, meat, dairy products — all produce acid.Proponents of the alkaline-acid theory believe that a diet high in acid-producing foods leads to lack of energy, excessive mucous production, infections, anxiety, irritability, headache, sore throat, nasal and sinus congestion, allergic reactions and makes people prone to conditions such as arthritis and gout. Despite being an acidic solution, some proponents of apple cider vinegar believe it has an alkalinizing effect on the body, which is why one to two teaspoons of apple cider vinegar in water is recommended as a daily health tonic. Although it’s a popular remedy, the effectiveness of the remedy and the theory haven’t been researched. A home remedy for dandruff is to mix 1/4 cup apple cider vinegar with 1/4 cup water. The vinegar solution is thought to restore the restore the pH balance of the scalp and discourage the overgrowth of malassezia furfur, the yeast-like fungus thought to trigger dandruff.The vinegar mixture is usually poured into a spray bottle and spritzed on the hair and scalp, avoiding the eye and ear area. A towel is then wrapped around the head and left on 15 minutes to an hour. After that, the vinegar can be washed from the hair. Alternative practitioners often recommend it once to twice a week for dandruff. A 2006 study found that rats fed acetic acid (the main ingredient in vinegar) had significantly lower total cholesterol and triglyceride levels. Large, human trials are needed to see if the same results occur in humans. Apple cider vinegar in water is a popular home remedy for acid reflux. It’s based on a theory by some alternative medicine practitioners that heartburn and reflux are actually symptoms of insufficient stomach acid caused by aging, poor diet or overusing antacids or other medications. Alternative practitioners usually rely on laboratories that conduct alternative tests to assess stomach acidity prior to any treatment. 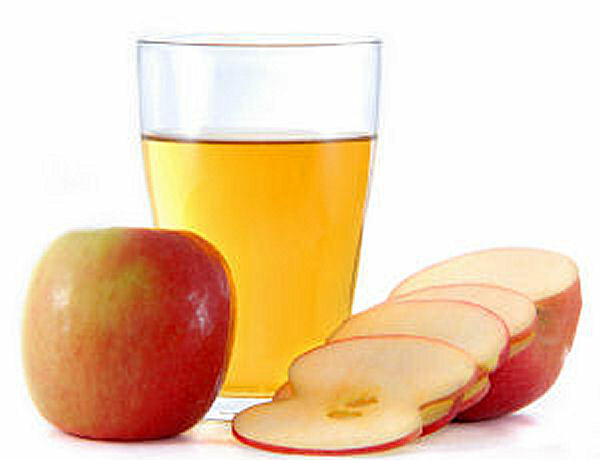 Critics say that insufficient stomach acid, or hypochlorhydria, isn’t a common condition and that it isn’t a known cause of acid reflux or heartburn.Apple cider vinegar isn’t recommended as a home remedy for acid reflux or heartburn, because it may damage the delicate lining of the digestive tract and it could possibly worsen the problem. If you have acid reflux or heartburn, see a qualified health practitioner for a proper diagnosis and treatment. Apple cider vinegar is a home remedy for acne. A typical application is one part apple cider vinegar to three parts water and the solution is dabbed onto the pimple. Although some people swear by it, caution should be used because there have been case reports of skin damage and burns from using full-strength vinegar on the face. Preliminary studies suggest that the acetic acid in vinegar may help to lower blood pressure. How it might work is unclear, although studies suggest that it may increase levels of nitric oxide, a compound in the body that relaxes blood vessels, or it might inhibit an enzyme called angiotensin-converting enzyme from producing angiotensin II, a hormone that causes blood vessels to constrict or narrow. Undiluted apple cider vinegar, in liquid or pill form, may damage the esophagus and other parts of the digestive tract. Apple cider vinegar drinks may damage tooth enamel if sipped. One case report linked excessive apple cider vinegar consumption with low blood potassium levels (hypokalemia) and low bone mineral density. People with osteoporosis, low potassium levels and those taking potassium-lowering medications should use caution. People with allergies to apples should avoid apple cider vinegar. Apple cider vinegar tablets may become lodged in the throat or esophagus and cause serious damage to those tissues. Vinegar applied to the skin may cause burns and scarring. Excessive doses of apple cider vinegar have been found to cause damage to the stomach, duodenum and liver in animals. The quality of apple cider vinegar tablets varies. A 2005 study compared eight brands of apple cider vinegar supplements and found that the ingredients didn’t correspond with the ingredients listed on the packaging, and that the chemical analysis of the samples led researchers to question whether any of the products were actually apple cider vinegar or whether they were just acetic acid. Theoretically, prolonged use of apple cider vinegar could lead to lower potassium levels, which could increase the risk of toxicity of cardiac glycoside drugs such as Lanoxin (digoxin), insulin, laxatives and diuretics such as Lasix (furosemide). Because apple cider vinegar may affect blood glucose and insulin levels, it could theoretically have an additive effect if combined with diabetes medications. Apple cider vinegar may also lower blood pressure, so it may have an additive effect if combined with high blood pressure medications. Fushimi T, Suruga K, Oshima Y, Fukiharu M, Tsukamoto Y, Goda T. Dietary acetic acid reduces serum cholesterol and triacylglycerols in rats fed a cholesterol-rich diet. Br J Nutr. (2006) 95.5: 916-924. Ostman E, Granfeldt Y, Persson L, Björck I. Vinegar supplementation lowers glucose and insulin responses and increases satiety after a bread meal in healthy subjects. Eur J Clin Nutr. (2005) 59.9: 983-988. White AM, Johnston CS. Vinegar ingestion at bedtime moderates waking glucose concentrations in adults with well-controlled type 2 diabetes. Diabetes Care. (2007) 30.11: 2814-2815. Danny McWilliams displays bottles of Jogging in a Jug that has been produced by Third Option Labs for 20 years. “When we first started, we were afraid we might be out of business in two or three months, but here we are 20 years later and still going strong,” said McWilliams, a retired farmer from Cherokee. His grandson, Danny B. McWilliams Jr., chief executive officer of the Muscle Shoals-based Third Option Laboratories, which markets Jogging in a Jug, said the beverage has a strong following in the Southeast and is now developing a large customer base in the Northeast. More than 35 million 64-ounce bottles of the beverage have been sold during the past 20 years. Jogging in a Jug is blended and bottled in North Carolina using McWilliams’ original formula. He developed it as a way to increase the amount of vinegar in his diet in hopes of improving his health. Danny McWilliams Jr. is especially proud of the strong sales for Jogging in a Jog around northwest Alabama. He credits his father, Danny McWilliams Sr., who died in 2000, for having the marketing savvy to develop a following of customers throughout the United States. While the family-run business is thriving now, Jack McWilliams said there have been some tough times for the Jogging in a Jug brand. In 1995, the company settled a lawsuit brought by the Federal Trade Commission that required a disclaimer be placed on Jogging in a Jug containers and advertisements stating the product offers no proven health benefits. Jack McWilliams said sales plummeted after the settlement, but have picked up steadily ever since. “The government set out to get us because we were the underdog, but we survived; we’ve come back really strong,” he said. Dennis Sherer can be reached at 740-5746 or dennis.sherer@TimesDaily.com.